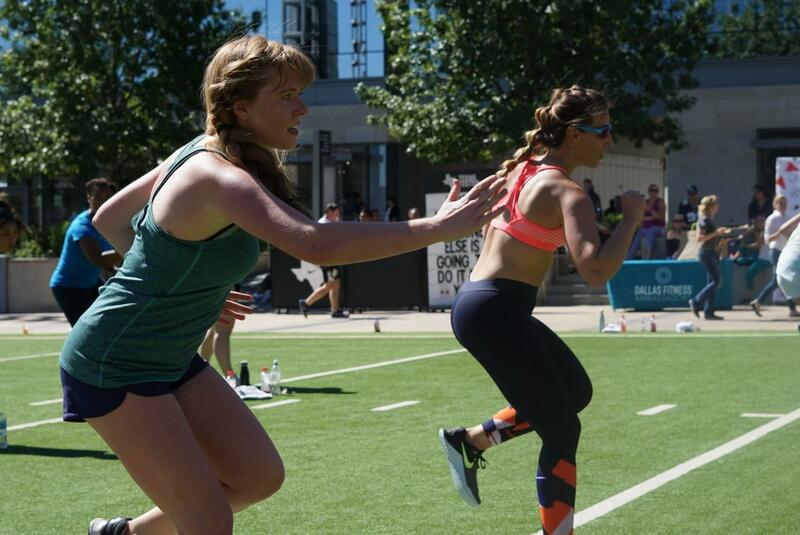 Join Fitness Ambassadors for a football-inspired bootcamp lead by D1 Spots and Pugh Training at the Omni Hotel in downtown Dallas. Our amazing coaches are going to take you through a 60 minute workout concentrating on athletic drills and movements. After class, stick around for amazing bites, happy hour cash bar, and goodies compliments of the Omni Hotel. Parking is validated and available in the underground garages beneath the restaurants (directly across from the Omni - Biergarten, Coal Vines, Cafe Herrera). Check-in begins at 9:30am with class to start promptly at 10am. Bring your water, sunscreen, and athletic shoes.